Growth Stocks vs Value stocks- A logical comparison: There are many ways to approach investing in stock markets. However, a growth stock and a value stock are considered very important in deciding the strategy for many investors in a different set of companies. Understanding growth stock vs value stock can help you to pick your investing strategy. Many a time, you might have wondered why people are buying the stocks which are trading at such a high Price to Earnings (PE) ratio. Further, you might also have thought why most intelligent investors are looking for a low PE. The difference in the stock choosing strategy is itself contradicting and can be confusing for the newbie investors. Therefore, in this post, I am going to explain the growth stocks vs value stocks so that you can develop a clear understanding of the different approaches of the veteran investors. Further, I have a surprise additional investment approach in the last section of the article. So, make sure you read the article until the end. We can define a growth stock as a company which is growing at a very fast rate compared to its industry and market index. These stocks have a large PE ratio. The high valuation of these stocks is justified with the earnings as it grows very fast year after year. Typically, the growths of these companies are around 15% per year, while the rest of the nifty 50 stocks grow at an average of 5-7% per year. A growth investor doesn’t care whether the stock is trading above its intrinsic value as long as the market price of those stocks keeps rising. As the growth and earnings of those companies are way higher than the peer companies, the investors expect those stocks to trade at a high PE. Few examples of growth stocks from Indian stock market are- Eicher Motors, Hindustan Unilever (HUL), Colgate etc. A value stock has completely different characteristics than the growth stocks. These companies do not have a high growth rate, rather they grow very slow. However, these stocks trade at a low market price. The concept of value investing was introduced by Benjamin Graham (the mentor of Warren Buffett), back in 1930’s. In his famous book ‘The Intelligent Investor’, Ben Graham has described the approach for a value investor, along with few other important concepts like Mr. Market & Margin of safety. Note: If you want to build good fundamentals in investing, I will highly recommend you to read the book- The Intelligent Investor by Benjamin Graham. Value investors look at investing in stocks as buying the super cheap company through finding its intrinsic value using company’s fundamentals as reported in quarterly and annual reports. The value investing approach is simple. The value investors look for an opportunity to buy a stock which is way less valued in the market than it’s intrinsic value and buys it. 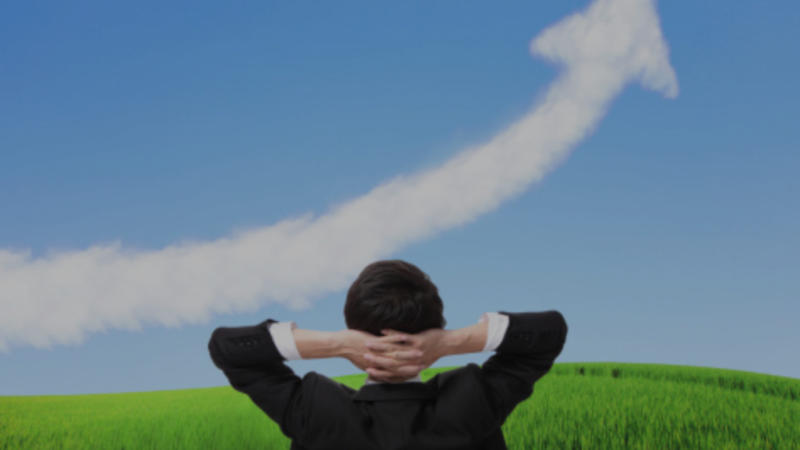 A value investor believes that this stock will rise to its true intrinsic value in future. He holds that stock until it goes back to its normal value. Few current examples of value stocks from Indian stock market are- HPCL, Coal India etc. The Price to Book Ratio (P/B) is calculated by dividing the current price of the stock by the latest quarter’s book value per share. P/B ratio is an indication of how much shareholders are paying for the net assets of a company. Generally, a lower P/B ratio could mean that the stock is undervalued, but again the definition of lower varies from sector to sector. Both value stock and growth stock investing approach are an effective way to make money from the stocks. There is no fixed way of investing that you should choose and stick to it. 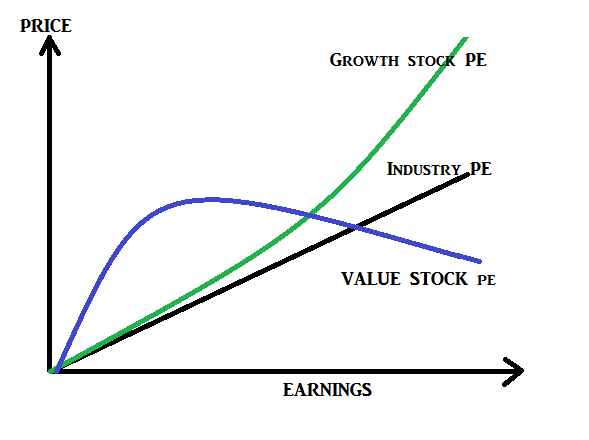 Most of the successful investors have first studied the value stocks vs growth stocks approach and then developed their own unique style. A growth stock is bought at a fair price. A value stock is bought at a discount to its intrinsic value. They have a huge potential for future earnings. Earnings growth is small. However, the value investors make profits when the stock reaches its true intrinsic value. They have higher PE ratio. Value stocks have low PE ratio. They give low or no dividends. Value stocks give good dividends. This is the third way to invest apart from the value stocks and growth stocks. An income stock approach is investing in those stocks which pay a high, regular and increasing dividend. The high dividend yield of these stocks mostly generates the overall returns. The dividend yield of income stocks is higher compared to the peers in industry and market index. While investing in an income stock, you should always choose in a fundamentally strong company. Otherwise, if the profit decreases in future, the dividends will also decrease. Also read: 10 Best Dividend Stocks in India That Will Make Your Portfolio Rich. That’s all. I hope this post about ‘Growth stocks vs value stocks’ is helpful to the readers. Further, do comment below which investment strategy you follow: Growth or value?